A cool cologne, some dark chocolate pralines, and a pair of designer cufflinks for your man this Valentine’s Day would be sweet and all, but do you know what he would really love? Your time. And for all those little hours you’re away at a conference, an afternoon tea, or a trip to the spa? There’s no question about it: a timepiece. There’s a watch to suit the style and soul of any man, and as time ticks away and the big day is fast approaching, we’ve put together a list of some of the best watches you should gift him this February. We’ve tried to stray away from the more obvious choices, and sussed out some true gems (not to sound overly cheesy but, after all, they’re for the human gem in your life), and from chronographs to vivid complications, clock our favourite Valentine’s Day watches below. Like a great swirl of barrel-aged whisky from an eloquently-carved crystal glass, you’ll never go wrong with a classic vintage watch, especially if it’s from German watchmaker A. Lange & Söhne. This 1815 model (approx. THB 759,570) gets its name from the birth year of the manufactory’s founder, Ferdinand Adolph Lange, and is a tribute to the man who broke ground and truly brought German watchmaking onto a world stage for horology. 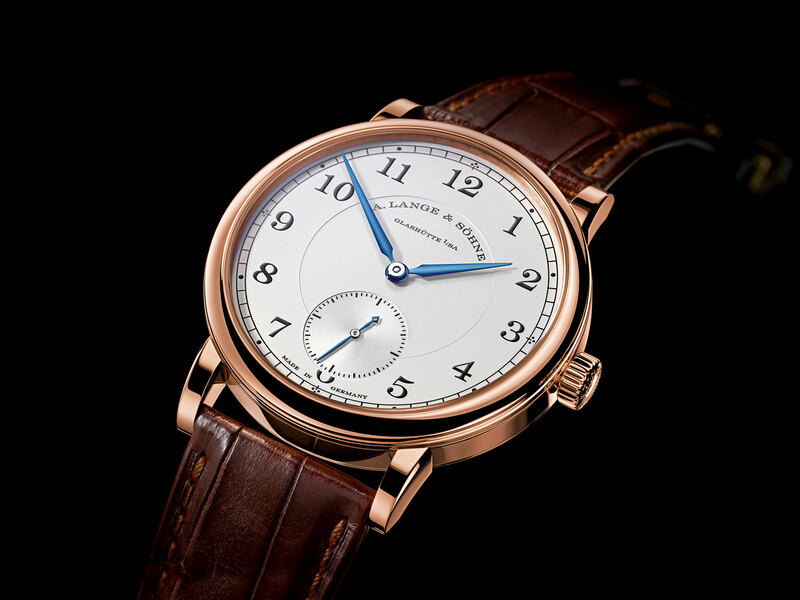 Made with a pink gold case, and a solid silver dial in argenté, the timepiece has a traditional and timeless flair, and at 38.5mm is perfectly suited for the man who values great heritage (and a great timepiece). Elegant, sophisticated, and seductively intoxicating: here’s to the man, his Scotch, and this watch. If there is one thing that best suits the wild weekend warrior Valentine in your life, it is a chronograph watch. 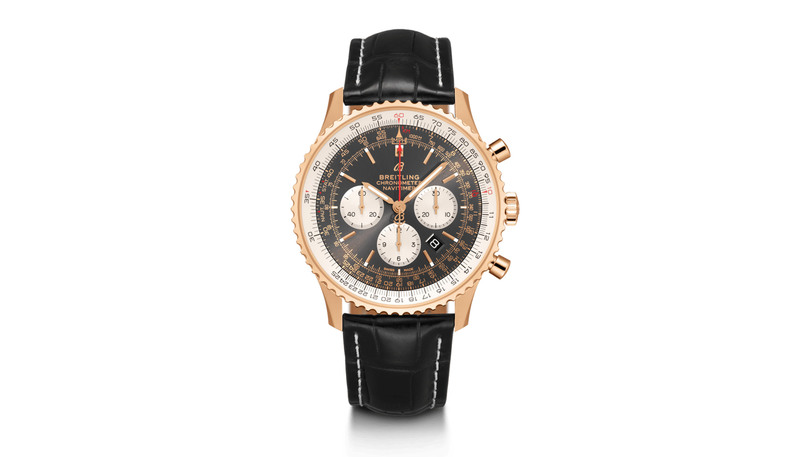 And if there is one chronograph watch that checks all the boxes with sky-high scores, it is one of the world’s most iconic aviation watch models: the Breitling Navitimer 1. Featuring a generous 46mm diameter on a red gold case, it’s a timepiece that provides much to admire and explore, between the white contrasting signature chronographs to the circular aviation slide rule and transparent case back. It’s a big and bold timepiece with a buzzing anthracite dial; perfectly apt for those men who too are larger-than-life. Here’s a racy one. Named after both the race and the city, the Monaco Calibre 12 (approx. 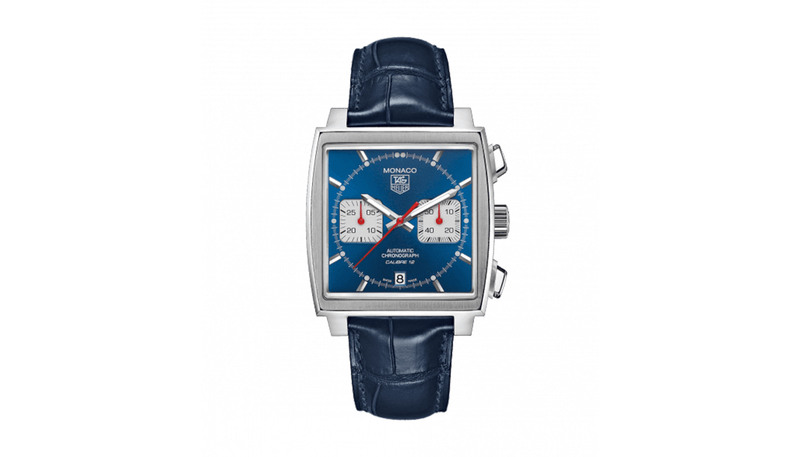 THB 191,680) has been one of the most beloved models made by TAG Heuer since its conception. 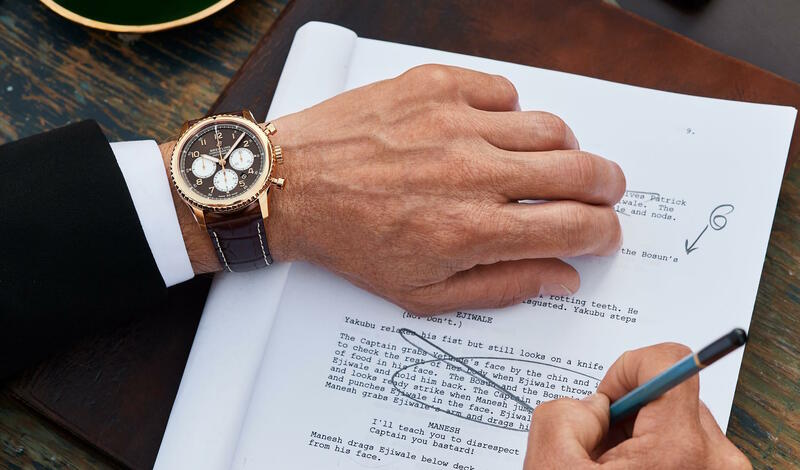 Worn by Steve McQueen in the 1970 Hollywood film Le Mans, it was the world’s first automatic chronograph at the time, growing to become a true icon over the years. Featuring a fast date correction and stop seconds feature, the timepiece stands out for its blue finishing and luminescent markers, as well as its eye-catching 39x39mm square case (and intriguingly contrasting circular dial). Boasting serious vintage prestige, here’s a must-have for both movie and car buffs. Lights, camera, utterly woo your boo. Let’s be honest. Every man looks good in a suit. And every man looks even better in a good suit with a great dress watch. It isn’t rocket science, and it isn’t difficult to find a dress watch, especially if you stick to the classics like a Cartier Tank or a Patek Philippe Calatrava. However, like a snazzy pocket square or some suit jewellery, it’s always interesting to switch things up from time to time. Case in point: the Chanel Monsieur Watch (approx. THB 1,655,815). 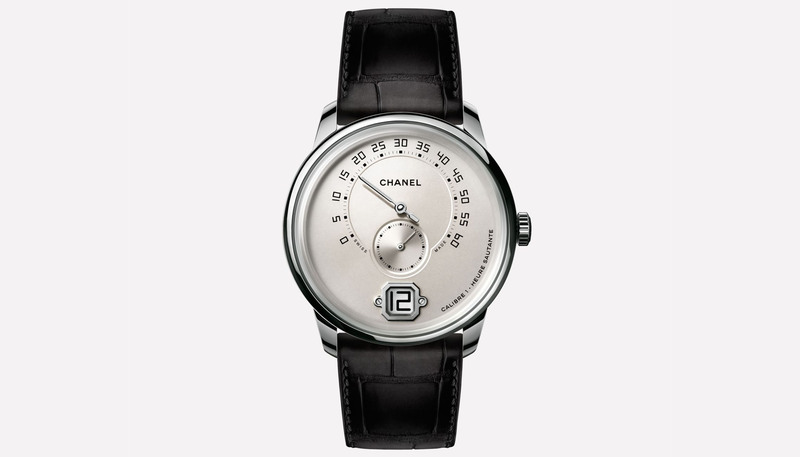 Sure, Chanel is more fashion than watches, but this truly sophisticated 40mm 18k white gold model offers much to love. 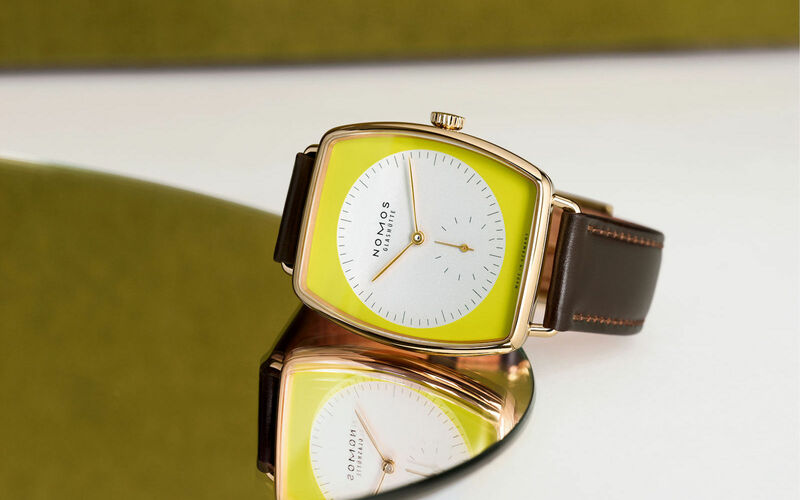 The ivory opaline dial displays a retrograde minute indicator, jumping hour window, and small second counter in a minimalist and easy-to-wear flair from boardroom to ballroom. The watch’s name literally also has the word ‘monsieur’ in it, so really, if bae’s a gentleman, here’s his calling. For the frequent and high-flyer in your life, no timepiece is more beautifully apt than a world timer timepiece. An exclusive invitation to travel, these aesthetically and technologically impressive models are noted for their world time complication, often displaying multiple time zones within one dial. 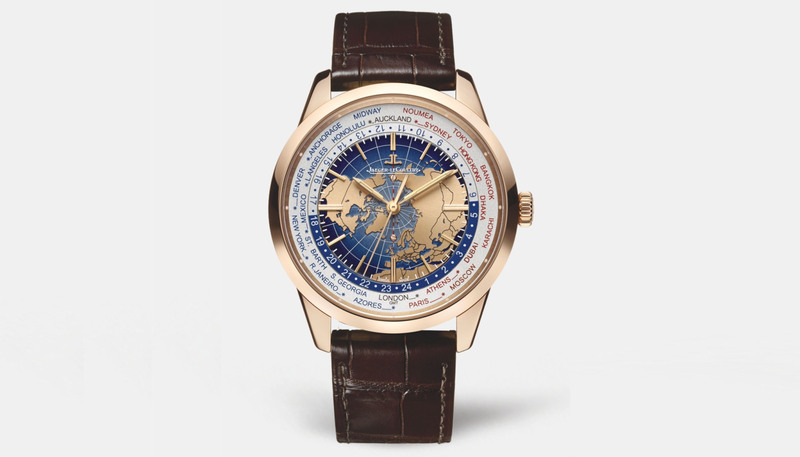 The Jaeger-LeCoultre Geophysic Universal Time (approx. THB 781,490) is a prime exemplar, boasting a pink gold case at 41.6mm, and hour, minute, jumping hour, true second, and world time functions. Against a beautiful blue lacquered dial that elegantly displays the globe from above, it’s the ultimate wrist companion for the avid jet-setter who loves to collect miles and style points, too. Love shouldn’t be complicated, but a timepiece can be. For the man who likes to be a little (or a lot) extra, a tourbillon or skeleton watch is a good call, with its intricate complications providing much to swoon over. Options are plenty on the market from a classic Frank Muller skeleton to Jaeger-LeCoultre’s unexpected showstopper at SIHH 2019, yet it can be complicated for the uninitiated to make the right call. 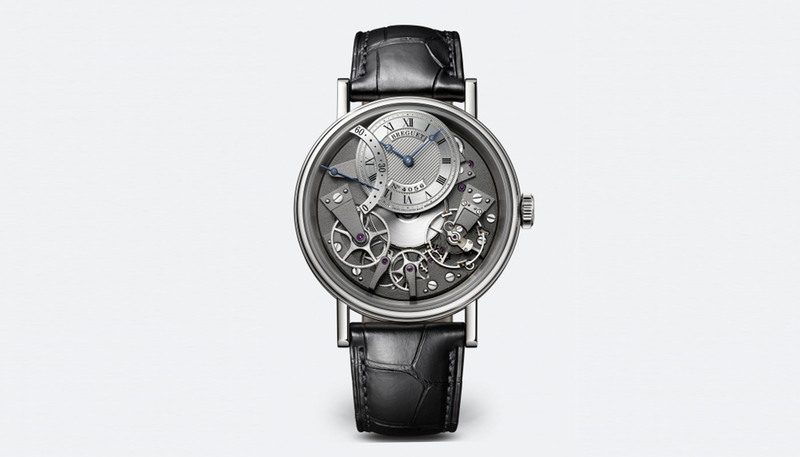 Regardless, if bae likes mechanics, you’ll never miss with this Breguet Tradition 7097 (approx. THB 1,047,126). The 40mm selfwinding 18-carat white gold model features a retrograde small seconds feature and an off-centred silvered gold dial with plenty to admire. Featuring a number of signature Breguet inventions, from the escape-wheel and lever in silicon to the pare-chute and Breguet balance-spring, it’s the perfect way to gift your loved one a timepiece that really honours the art of telling it. For the man you love to the moon and back and beyond, this Patek Philippe Celestial Moon Age watch (THB 9,809,100) will make for an absolutely stellar gift. 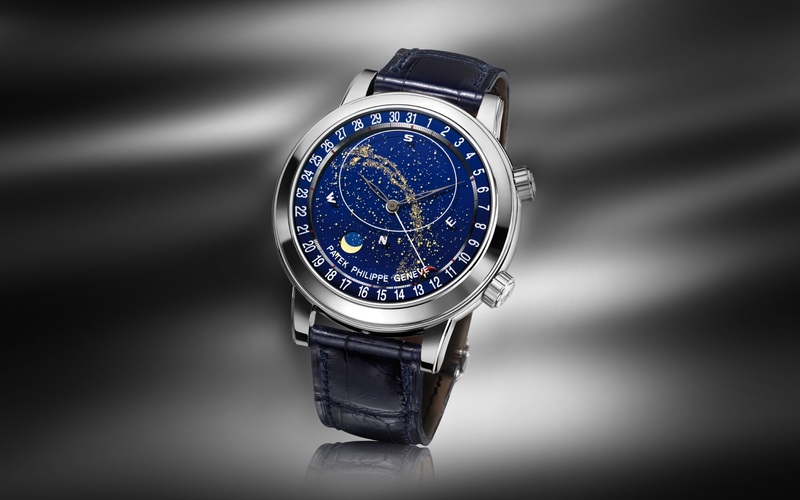 A tribute to Patek’s tradition of astronomical watches, the timepiece devotes its dial to a rotating chart of heavenly bodies, whereby its wearer can admire the night sky in the northern hemisphere at any time. Two skeletonised hands also display the hours and minutes of mean solar time, with an Ellipse on the underside of the sapphire glass framing the part of the sky that is visible from Patek’s home in Geneva as well as all the other cities on the same latitude. Between a sky chart, moon phase and orbit, as well as a display of the time of meridian passage of Sirius and the moon, the 44mm platinum cased watch may be a little confusing to grasp at first, but is the stuff of stardust dreams when the stars align.